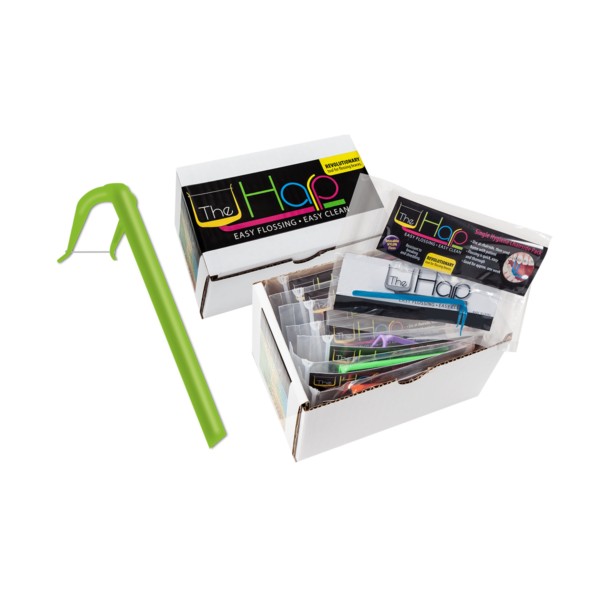 This Pack contains 24 individually wrapped multicolored Harp Flossers. This is designed for the Dental Hygienist to use chair side, inspiring patients to floss with fun and sent home for continued use up to a week. 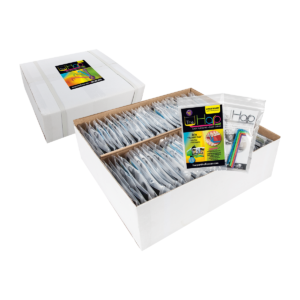 Each Flosser is in a zip lock reusable bag and Includes reorder information for patient or to purchase from your own office if you choose Harp Flosser packages in-practice.